Alison Summerville was named business administration executive of Ally Financial Inc. in June 2015. In this role, she is responsible for liaising with business and functional leads on behalf of the CEO’s office on enterprise-wide business initiatives. This includes managing and implementing executive leadership routines, and seeking organizational efficiencies that advance Ally’s strategic objectives. Summerville also oversees the company’s corporate workplace team which manages Ally’s facilities and related services, and oversees Ally’s corporate citizenship and community relations efforts. Most recently, she served as executive director of CFO business support, overseeing governance routines, budget and expense planning for the Finance and Treasury functions, as well as acting as business lead for employee engagement initiatives. Summerville joined Ally in 2009, as chief of administrative officer for the company’s Treasury function. Prior to joining Ally, she spent nearly nine years at Bank of America, most recently as the company’s Treasury business support executive. During her tenure at Bank of America, she also served in balance sheet management, compliance and corporate research roles. Summerville holds a bachelor’s degree in business administration from the University of North Carolina at Chapel Hill. 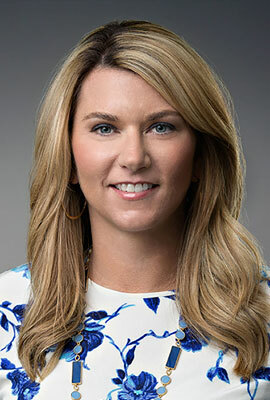 Her community involvement includes service on the Board of Directors for Charlotte Wine and Food Weekend, which contributes to charitable organizations seeking to benefit children and their families in the Charlotte community, and the Charlotte Regional Partnership, which pursues business growth in the Charlotte region. Additionally she serves on the Board of Directors and Finance Committees of Habitat for Humanity Charlotte and Sharon Towers, a Continuing Care Retirement Community.